Hello and welcome to The WDW Radio Show – Your Walt Disney World Information Station. I am your host, Lou Mongello, and this is show #308 for the week of January 13, 2013. 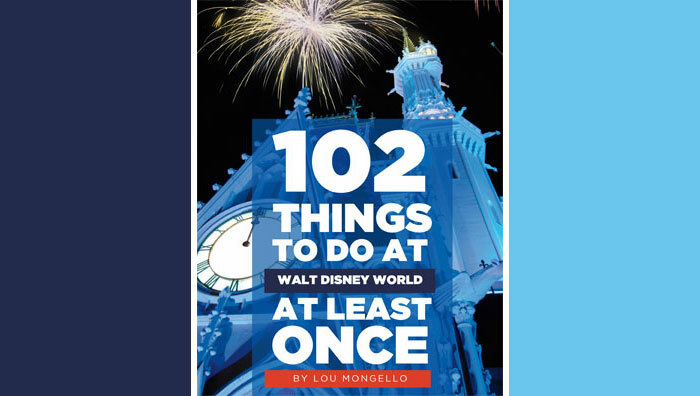 I’m here to help you have the best possible Disney vacation experience, and bring you some Disney magic to to wherever you are with this podcast, videos, blog, live broadcasts, events, trivia books, CDs and more. 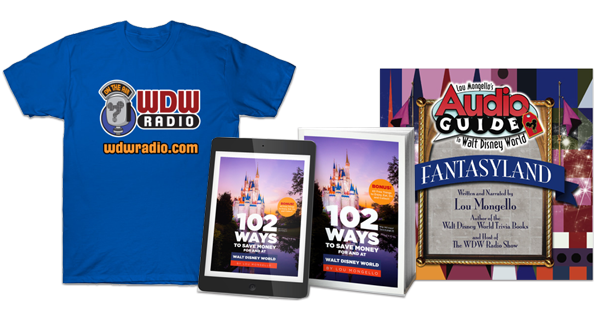 You can find it all at WDWRadio.com and I want to thank each and every one of your for listening and for the 7th year in a row, helping vote WDW Radio the Best Travel Podcast for 2012. This week I invite you to join me (virtually) around the table for another live Walt Disney World dining review. We’ll step onto Main Street, USA and dine at Tony’s Town Square Restaurant. We’ll discuss its history, story, inspiration from Lady and the Tramp and its details, and then review the menu from appetizers and desserts. It’s a chance to share lunch with us and maybe introduce you to a new dining experience in the parks. You’ll also learn about Disney’s ImagiNations contest from friends who participated in this competition created by Walt Disney Imagineering. The grand prize gives the winner an opportunity to win an all-expense-paid trip to Walt Disney Imagineering in California and possible internship opportunities. I’ll then have some announcements at the end of the show, including details about our 6 Year Anniversary Show in February and how YOU can be a part of it, as well as how you can join us on our WDW Radio On the Road group trip to Disney’s Aulani Resort in Hawaii! So sit back, relax, and enjoy this week’s episode of the WDW Radio Show. QUESTION OF THE WEEK: Have you ever eaten at Tony’s Town Square? What was your opinion? Leave your answer in the comments section below! Learn more about WDW Radio On the Road at Aulani in Hawaii and get a no-obligation quote! I ate there before, but it’s been two years so I’m really hoping my opinion is an outdated one. We REALLY loved the ambiance; Lady and the Tramp are my two favorite cartoon canines! And then we hit the proverbial wall. The food was fine. It wasn’t bad per say, but it could have been better. More than likely the problem with the food had a great deal with the worst problem of our experience there, which was our server. She must have been a magician during her day job, because she was awfully good at disappearing! We saw her three times: once to order drinks, once to order food and once to get the check. We had to rely on the kindness of other servers to get our original drinks OR get any refills as she couldn’t even be bothered to lug two twelve-ounce glasses on her serving tray. Once we even found her parked in another server’s booth with a couple, gushing over their “It’s our Anniversary” gear. Problem was WE were there celebrating OUR anniversary too, and she knew it. And I’m pretty certain that’s why the food was sub-par, because it came out cold and AN HOUR after we ordered it! Oh, did I mention we have to beg another server to bring it out? I liked the ambiance of the restaurant and we had a great server. But the food was just okay. Nothing spectacular and for the price we paid for it I thought it could have been better. My family’s first trip to WDW was when my (now) husband and I decided to get married there. Since we had been to WDW before, my husband and I made some suggestions on where my family could eat/make ADRs and then pointed them to some reviews (allears, books etc) to let them make some of their own choices. One of the reservations they made was for Tony’s Town Square, since they liked the convenience of the location in the Magic Kingdom. When I talked to my mother about the experience later, she told me it was the worst meal they had on the trip – and really the only negative food experience they had. Basically every family member was of the opinion that the food wasn’t very good, and several members of my family actually GOT SICK (thankfully not severely) after eating there. We love Tony’s. We do our last WDW night dinner at Tony’s. We ask for a table on the porch and have had one every time. We have a 7:30 pm ADR – so we can see the electric light parade from out table and after dinner walk onto Main Street and see the fireworks. Best way for our last night in WDW. What we like to order for dinner: Shrimp Scampi, New York Strip Steak, and Chicken Parmigiana. For dessert we get Tiramisu & Galato. we love Tony’s for dinner. Great show. I have a question about the ImagiNations contest – were your guests college students? I thought the contest was only for college students but I was under the impression your dinner guests were above college age. I am a few years out of college but would love to participate if possible! Enjoyed the show. We eat at Tony’s every year. Not a favorite but there are limited choices at the Magic Kingdom. I was hoping for desert photo’s. Hi–My husband and I ate at Tony’s 2-3 years ago. We thought the food was really good. We are not real foodies, but just enjoy a good meal. My husband had chicken parm and I think I had something with shrimp or salmon and it was all good. It is so pretty inside and we had a really nice waitress. We were also very impressed as we observed the table next door to us being advised by the chef on what a person at that table could/could not eat with her food allergies. The location of Tony’s cannot be beat on Main Street, right in the heart of the magic Kingdom. We enjoyed it very much. I like Tony’s, before your table is ready your kids can watch Lady & The Tramp in fact the theme fits well in the restaruant. I ordered the Chicken Parm it was good. It’s also good to watch the parade while your eating. great show always like live reviews of restuarants. i have never been to dwd but finally i’m going in july and can’t wait!!!!!!!!! tony’s is on my list because i love lady and the tramp, oh and have italian roots my mum’s maiden name was devoto. thanks i loved listening to this with a glass of wine and cadburys mini eggs (uk) but guys in your opinions where is the best place to get a really tasty pizza. As a fellow North Jersey Italian guy, I have to say I was surprised by the quality of the food here. My wife (she’s not Italian) insisted we go there. I usually avoid the staple Italian dishes when I am outside of the northeast (or the real Italy), but their gravy (it’s not sauce) was solid and not bland ketchup like most touristy Italian joints. I am guessing the naysayers aren’t used to real Italian-American dishes. Fat, ooie gooie cheese. What a fabulous way to describe the Mozzarella cheese on pizza. LOL!!! This episode made me so hungry! I guess the fact that dinner time is only about an hour a way may have something to do with it? Haven’t had a chance to check out Il Mulino’s yet, but have to add it to the, “to do” list for our next trip. Yes, we’ve eaten at Tony’s. I think is was about 9 years ago. As far as I remember, the meal was a good experience. Need to try it again and refresh our taste buds. Thanks again for another great restaurant review, and for making me hungry, Lou!! !